After two years of fundraising, the St. Cloud Commons All-Inclusive Playground began phase one of the project with a groundbreaking ceremony Friday morning. Phase one will include the majority of inclusive play equipment surrounded by rubber surfacing. People of all ages and all scopes of abilities will soon be able to play and see beyond the differences of others with this new playground! 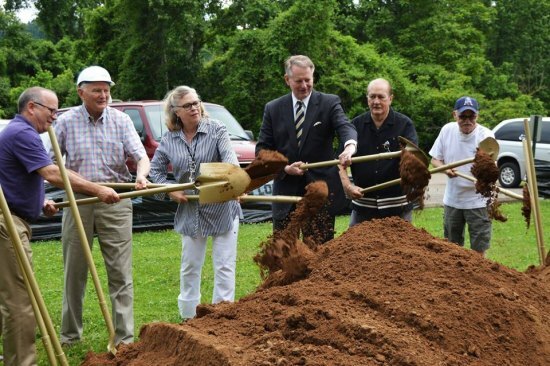 PHOTOS: Mayor's Office City of Huntington/Greater Huntington Parks and Recreation Comm.